Vice President of Finding Productions, a media and marketing company based in Los Angeles, California. A year ago, after a recording of my show Triunfo Latino in New York, I had to be taken to the emergency room due to an intense stomach pain. They discovered I had an open ulcer that was bleeding. It was a hard time because everything stopped for me. I’m a very spiritual person so I asked God for help and guidance to be able to take care of myself. One day, a friend of mine, who is a nutritionist, suggested I took Enzymes, and I was introduced to the YOR Health products. Since then, I’ve experienced a regenerative change in my health, I have energy, my digestive system is better than ever, my bloating has decreased, and I feel happy and ready for the next stage in my life! I’ve been in the Spanish speaking media for 20 years. I’ve worked for national networks like Univision and Azteca America in the US. Today, we’ve been producing for the educational network Vme TV with my production company a show called “Jackeline Cacho Presenta Triunfo Latino" for 4 years now. It is a show that highlights the story of Latin-American people who leave a mark in America. I’ve dedicated my life as a journalist to inform, educate and inspire the Latin community. 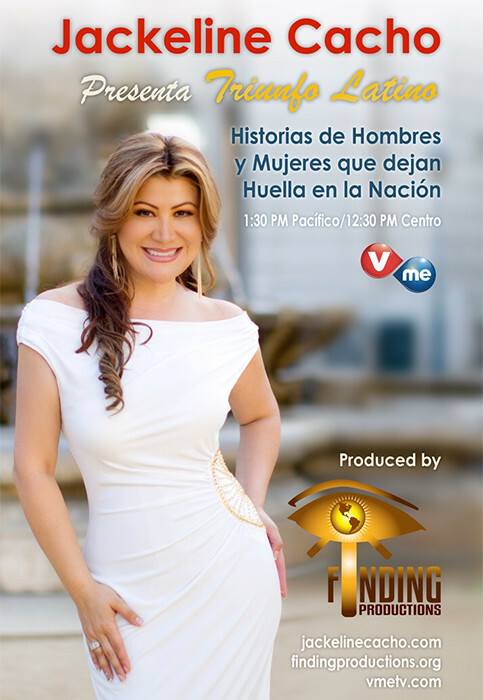 I feel very thankful to be part of the YOR Health family, and today, I’m starting a national Health Movement: "Triunfo Latino Por Tu Salud,” the reality show, sharing what happened to me so our community can make the decision to transform their lives.